Supporting The National Community Cups Program! 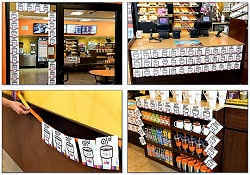 Here at Dunkin’ Brands, community is what keeps us running, and today we’re looking to give back by launching our National Community Cups Program, a fundraising campaign that kicked off yesterday and lasts until Monday, September 29. During this time, we are inviting YOU, and our community of loyal guests, to donate one dollar to The Dunkin’ Donuts & Baskin-Robbins Community Foundation (DDBRCF) and help us in our mission to support hunger relief, children’s health and safety in our neighborhoods. 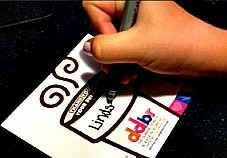 Each guest who donates will receive a paper icon to sign and display in their local restaurant along the restaurant counters, walls and windows. Through this program, we’re hoping to raise $750,000, to support The DDBRCF’s three crucial social pillars: Food for Our Hungry, Health for Our Children and Safety for Our Neighborhoods. 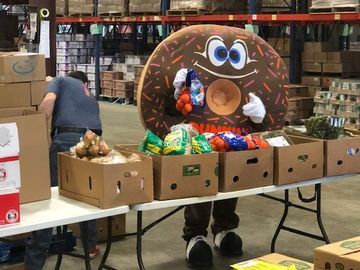 Over the years, The DDBRCF, together with our Dunkin’ Donuts and Baskin-Robbins franchisees, has been able to help meet the basic needs of our communities by donating more than $4.5 million to local charities. 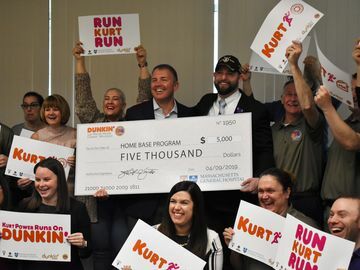 This year, to make an even more significant impact on local food banks, children’s hospitals and safety organizations, The DDBRCF is focusing on one national goal for Dunkin’ Donuts and Baskin-Robbins locations: to raise $750,000! Help us reach our goal, while also helping those in your local community by participating in our National Community Cups Program! *Be sure to share your National Community Cups stories and personal DDBRCF experiences with us on Facebook, Instagram and Twitter. 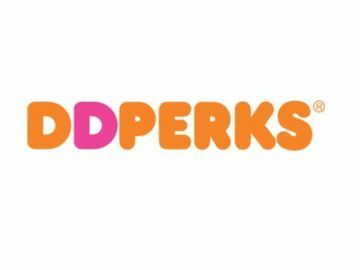 For more information on The Dunkin’ Donuts & Baskin-Robbins Community Foundation and how to donate, please visit our Foundation homepage here!